Canberra is Australia’s capital city, located in the northern end of the ACT (Australian Capital Territory). As the largest inland city in the country and with one of the smaller urban populations, Canberra doesn’t attract as many tourists as the bustling coastal cities like Brisbane, Sydney or Melbourne, but many visitors come here for the museums, galleries, food, wine and outdoor adventures. 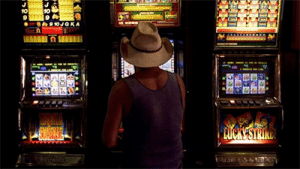 Along with Canberra’s cultural attractions, visitors and locals alike love to try their luck on the pokies, which can be found within clubs and pubs all over the state. If you’re a Canberra local or just stopping through, read on to find out where you can have a punt on the slots in the Heart of the Nation, or discover how to play the pokies online for a convenient alternative when you can’t make it to your local venue. Annoyed that the Canberra Casino doesn’t offer any pokies, or can’t be bothered heading out to the pub to play? Trusted Aussie-friendly casino Emu Casino offers hundreds of real money pokies for instant-play directly over your Web browser, giving players a free welcome bonus to kick things off, with convenient 24 hour access from home. To offer the pokies, an ACT vendor must receive licensing from the ACT Government Gambling and Racing Commission and operate under strict guidelines set by the Gaming Machine Act 2004. Are these venues too far away, or are you simply too busy to head out? Try playing online at any of our recommended, safe online casinos, where new players receive welcome packages that include free spins and free money when signing up using our links – something a Canberra pub or club will never offer. The Casino Canberra is unique as it is Australia’s only land based casino not yet licensed to offer the pokies. When the casino opened in the early 1990s, it was licensed under the strict condition it was not allowed to offer poker machines, leaving the pubs and clubs of the ACT to hold a strict monopoly over the pokies. One of the reasons for the restriction was even for a small city, Canberra already has a high saturation of pokies and offering more in the casino would leave the state government open to criticism. It also left the clubs and pubs free of competition, as the money brought in from the pokies financially benefited the government and kept dining in suburban pubs affordable for the local community. This is all set to change, however, with the recent acquisition of Casino Canberra by Hong Kong real estate tycoon, Tony Fung. Fung’s Aquis Entertainment Group bought the Canberra Casino in 2014 under a planned $330 million redevelopment which will include two new hotels, restaurants, retail outlets and a giant refurbishment of the casino. In 2016, Aquis Entertainment was given the go-ahead for the casino to include 200 poker machines, a bid which has received criticism from hotel owners but praise from casino enthusiasts and the tourism sector. Part of the deal is Aquis must purchase the 200 poker machines from other clubs and pubs around the ACT, so there will be no additional pokies in the state under the existing cap. 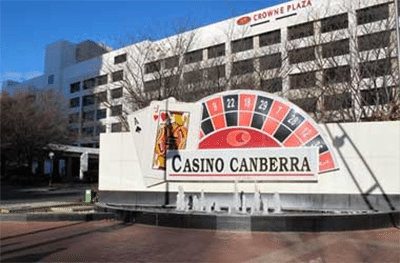 While you’ll soon be able to play the pokies at the revamped Canberra Casino, until then the casino is restricted to table games, including blackjack, roulette, sic bo, pai gow, baccarat and pontoon. For those who prefer casual luck based games, the casino also houses The Money Wheel. The no-pokies laws in Casino Canberra have led many Canberra locals to start playing online instead, with many online casinos offering exclusive sign-up bonuses and promotions that the Canberra casino isn’t capable of. If you’d like to try playing pokies online, visit a reputable venue like Mongoose Casino where new players receive up to $300 in matched deposit welcome bonuses when signing up via our page. House of Jack – this vibrant online casino offers pokies from some of the leading game studios, including Microgaming, BetSoft, QuickSpin, Play’n Go and more. 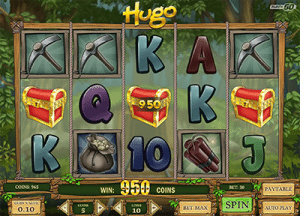 Mucho Vegas Casino – play at one of the Internet’s leading and most vibrant online casinos, which offers hundreds of real money pokies from legendary software providers. Slots Million – dedicated 100% to the pokies, here you’ll find over 1,800 pokies games available for instant-play directly over your Web browser. A huge benefit to playing the pokies online is you’re eligible for all kinds of welcome bonuses and exclusive promotions you’d never find within a Canberra pub or club – just sign up using any of our links to claim special bonuses like matched deposits and free spins.